A living trust is a separate legal entity created through the appropriate legal documents to hold assets. Once created, the goal will be to make sure your assets are titled in the name of your living trust. You, as the Trustee of your living trust, maintain complete control of the trust (and assets) during your life and can add or remove assets as you wish. Upon your death, the assets in the trust are distributed by the successor trustee (usually your spouse or another loved one) to your named beneficiaries. All assets in the trust will pass to your named beneficiaries without having to go through the probate process. In the very simplest terms, if you own real estate or have children, you should probably have a living trust in your estate planning. Living trusts are designed to pass your assets to loved-ones with minimal complications and expense. Even if all you own is your home, a living trust is usually recommended. In fact, it is very common that the primary asset of a trust is the family home. 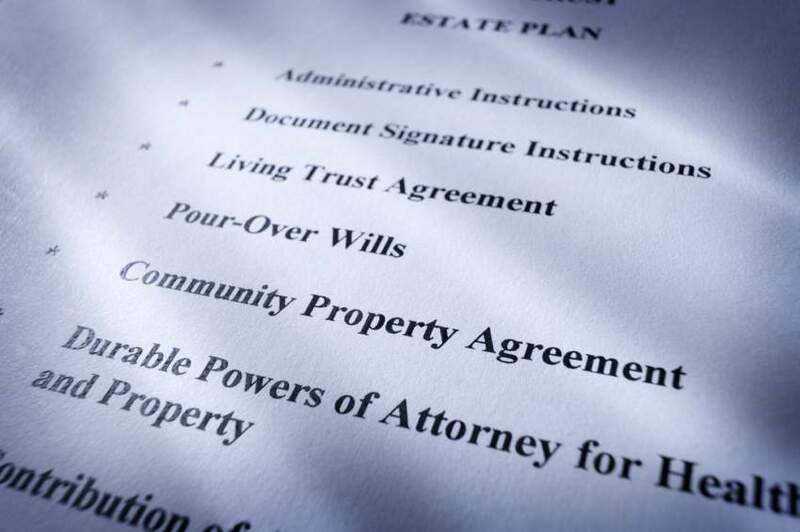 When it comes to any type of real estate assets, there simply is no better estate planning device than the living trust. If you own no real estate and have less than $150,000 in assets, the cost and time invested in creating a living trust may not be worthwhile. Nevertheless, some estate planning is still essential. Keep in mind that estate planning is much more than just a living trust. It also includes the documents summarized below that every person should have regardless of the size of their estate. A living trust is a separate legal entity created through the appropriate legal documents. A well drafted living trust is usually rather lengthy. In it you spell out how you would like the assets of your trust (your property) handled or distributed in the case of your incapacity or death. This is where you will name your successor trustees and beneficiaries (heirs). Essentially, this is where your wishes and desires regarding your estate are detailed. The synopsis is summarized version of the main provisions of your living trust. The summary includes quick references to trustees, beneficiaries, disposition of property and more. The fact is that most people do not have the patience or desire to understand the legal language and mechanics of estate planning documents. A good summary or synopsis is essential. Since a trust is a separate entity, many banks and investment companies may need a copy of the trust to open or close accounts or transfer property. You can provide them with a copy of the actual trust, but all they really need is the authorizing information contained in a Trust Certification. By providing a trust certification instead of the copy of the trust, you keep your privacy. The purpose of a pour over will is to provide testamentary instructions that all assets inadvertently left outside your living trust be “poured over” into your living trust. Keep in mind that the goal is to have all the appropriate assets inside the living trust so that probate is completely avoided. Nevertheless, this document serves as a safety net or catch-all in case any assets remain out side the trust. You may own many untitled items such as furniture, clothing, jewelry, and such. These items can be transferred into the trust by use of an assignment of personal property. In addition to the living trust you will also need a durable power of attorney. The purpose of this document is for you to name a person, usually a spouse or loved one, that you authorize to conduct your affairs should you become incapacitated or otherwise unable to handle your affairs yourself. This document is sometimes called a “springing power of attorney” because the “power” granted to the person you name “springs to life” only in the event of your incapacity. Like the Power of Attorney for Business Affairs, the purpose of this document is for you to name a person, usually a spouse or loved one, that you authorize to make medical decision on your behalf should you become incapacitated or otherwise unable to make your own decisions. The purpose of an advance directive is to provide instructions to your medical doctors regarding the withdrawal of treatment and/or the ending of your life if you are irreversibly terminal or brain-dead. In situations where the appointment of a guardian for minor children become necessary, this document instructs the court who to appoint. In addition to the main documents above, each estate and family situation will dictate additional documents that are necessary. This is exactly why it is important to discuss your estate planning needs with a qualified estate planning attorney. This is also why each estate plan we do starts with an in depth attorney-client consultation. In the first consultation meeting with a new client, either Attorney Williamson or Attorney Gentilini will personally take the time to fully explain each of these documents, why they are needed, and how each one works. It is important to us that our clients actually understand their documents and are comfortable with their estate planning.